Since 2014, Colleen McCormick has championed sustainability at UC Merced by building collaborative relationships across campus and into the surrounding community. When Colleen McCormick joined UC Merced as its sustainability director in 2014, the university had lofty aspirations but no specific action plan to get from Point A to Point B. Today, the campus has a Sustainability Strategic Plan that provides a roadmap for its efforts and an annual sustainability report to assess progress toward its goals. The Chancellor’s Advisory Committee on Sustainability is another development, advising Chancellor Dorothy Leland on matters pertaining to sustainability goals, policies and practices at UC Merced. McCormick’s time at UC Merced is coming to a close. She’ll remain in the University of California family, though, as she assumes the role of sustainability director at UC Davis Health. Chief Operating Officer Mike McLeod said McCormick will leave behind a legacy of collaboration and embedded sustainability practices. Assistant Directors of Sustainability Mark Maxwell and Breeana Sylvas both credit McCormick for being a skilled collaborator. Maxwell said her guidance was instrumental in his development of the LEED Lab — an engineering course open to all majors that teaches students about green building and qualifies them to sit for LEED certification exams. developing the Energize Colleges internship program, which trains students in sustainability-related career pathways. 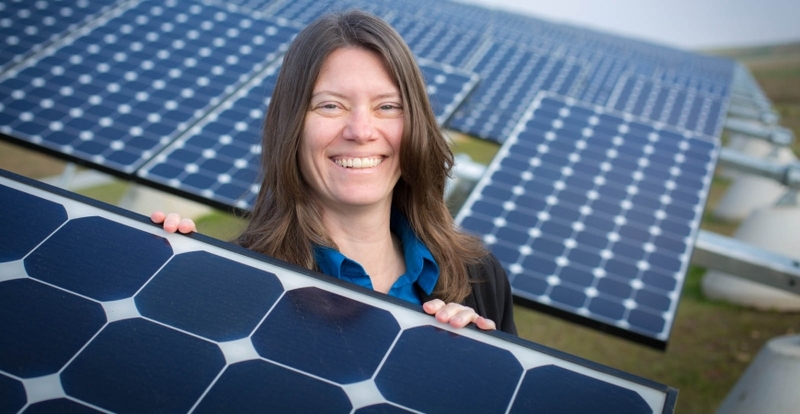 McCormick said her charge was to foster a culture of sustainability among students, faculty and staff; to identify and prioritize areas for institutional sustainability efforts; to plan and develop short- and long-range goals; and to engage campus leaders to foster sustainability broadly across campus units.